Aim: increase youth participation in community development activities, in particular through grant provision and volunteer activities. 1. Youth Bank is guided by young people. The role of the adults is to support young people. 2. Youth Bank is open to all young people. 3. Youth Bank enables young people to learn about each other’s life, culture, and to respect differences. 4. Youth Banks should act on the principle of being accountable, transparent, and open; moreover they should be based on a solid system. 5. Youth banks should communicate a clear and simple language, avoiding jargon. 6. Youth Bank activities, including trainings, should support young people in the acquisition of new knowledge, experience, and skills. 7. Youth banks should learn from their own experience, from time to time assessing their activities and making appropriate changes. 8. Youth Bank should encourage the success and achievements of the participant young people. 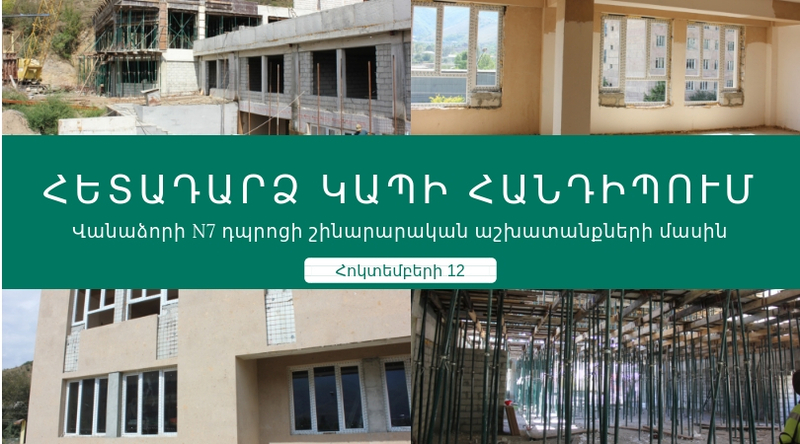 Since 2007, thanks to Eurasia Partnership Foundation and the Community Foundation of Northern Ireland, Youth Bank committees, consisting of 5-7 committee members, have been created in 5 communities of Armenia, including Vanadzor. Moreover, committee members were selected on a competitive basis according to their applications; thereafter they were interviewed in corresponding support centers. During the competition, team-work and volunteering capacities of young people were taken into account. Before the formation of the committees, the selection of supporting NGOs, aimed at supporting bank-committees’ work throughout the whole programme, was carried out in 5 communities. In Vanadzor the role is assumed by “NGO Center” Civil Society Development NGO. Now there are Youth Bank Committees in every marz of Armenia. The Bank- Committee announces a youth volunteer programme grant competition. Received applications are discussed in the pre-selection phase, after which the applicants who gain positive results are invited to interview. After the interview, the committee members evaluate the projects according to Youth Bank standards. 5-7 projects that collect the highest scores pass to the implementation stage. When the grants are officially handed in and the contracts are signed, YB members and the applicants initiate the implementation of the programmes in the best way. It has been operating in Lori Marz since July 2007. During the last 5 years it has provided 23 grants /in AMD equivalent to 300-500 USD /. 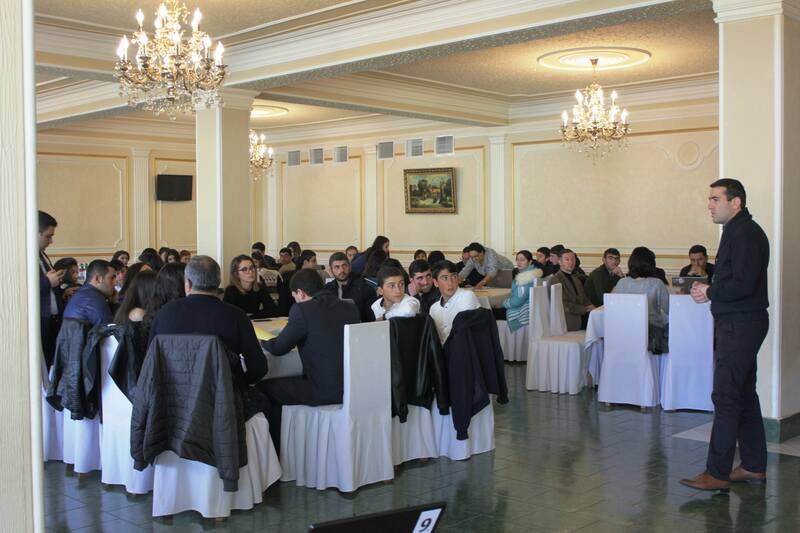 In addition to grant programs, Vanadzor Youth Bank has implemented various campaigns, initiatives / including “MEK” project /, has assisted to various youth programmes in Vanadzor and Lori Marz, has organized meetings and seminars on topics concerning the youth. On Children’s Day 2009, on their own initiative, they organized and held “A toy for a smile” action, which has become traditional. In summer 2009 the bank-committee, as a volunteer team, took part in the renovation activities of Lorut school initiated by Jinishian Memorial Foundation. And it still continues to implement new projects. U.S. Agency for International Development, Community Foundation of Northern Ireland, as well as Armenian non-governmental organizations both in regions and Yerevan, local and regional media representatives.